Hello, internet people. It’s Greg King here. I told Jill I’d step in for her today. One, she’s busy handling staffing problems at the coffee shop. And two, it gives me an excuse to lock myself in my office and hide from Nathan Pike. Oh, you know Nathan? I don’t think you know the real Nathan. You know his books. And by knowing what a supposedly great author he is, that he must be nice. Or at least sane. I can tell you from just spending one week with the guy, he is neither. And he’s a slob. I’ve had to vacuum out my truck three times this week because of the chips or popcorn or cookie crumbs. Seriously, I’m hoping for a real case to show up so I can ditch babysitting this guy. No matter what the mayor says. On the home front, I’m concerned about where I’m going to live in a few months. I told Jill my lease was up, but I didn’t mention that the building is going condo. I can’t afford to buy the place, even if I wanted to. So I brought up the idea of us moving in together. You would have thought I’d popped the question. You know, the one that ends at a church and vows? The girl gets antsy every time I mention the future. I’m starting to think it’s me. Maybe it’s not that she’s not interested in getting hitched ever again, maybe it’s me she doesn’t want to get married to? Relationships, they are murder. Speaking of murder, Nathan is standing at my door again. The dude looks like someone’s little brother, just waiting to be let into the secret club. I guess I better go. Have a great month. Summer is amazing here in South Cove. You should come join us one day. Just don’t ask for a police ride along. I think I’m setting a policy banning any future police access to people outside our own South Cove citizens. That should take care of problems like Nathan. GIVEAWAY ALERT – Give Greg something to look forward to this summer besides Nathan leaving town. What’s your favorite summer activity? 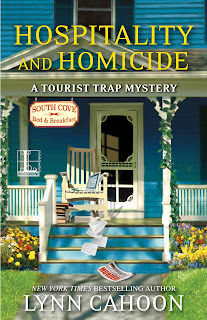 One random comment will win an e-copy of either Murder on Wheels or Tea Cups and Carnage (winner’s choice.) GIVEAWAY OVER - WINNER CHOSEN IN COMMENTS BELOW. HAPPY SUMMER EVERYONE! take a nice book and read outside in a comfortable hammock. My favorite summer activity is spending time at the pool with my niece and the rest of the family. I don't get to see her much while school is in so I look forward to summer every year. I'm looking forward to enjoying the sunshine with a good book! My favorite activity for the summer is grabbing a glass of sangria, a cozy mystery, and sitting in my hammock spending the day reading. Winner - The random gods love you. :) I've emailed you instructions. Living in south Florida means spending the "summer" (which is already here) trying to stay cool. My favorite summer activity is being able to read outside on the patio with a tall glass of ice tea. Reading a book at the beach. Having a barbecue with the family and the yard games that always go awry. kchinetti at gmail dot com. Horse showing! Leaving at 6 AM for the weekend! 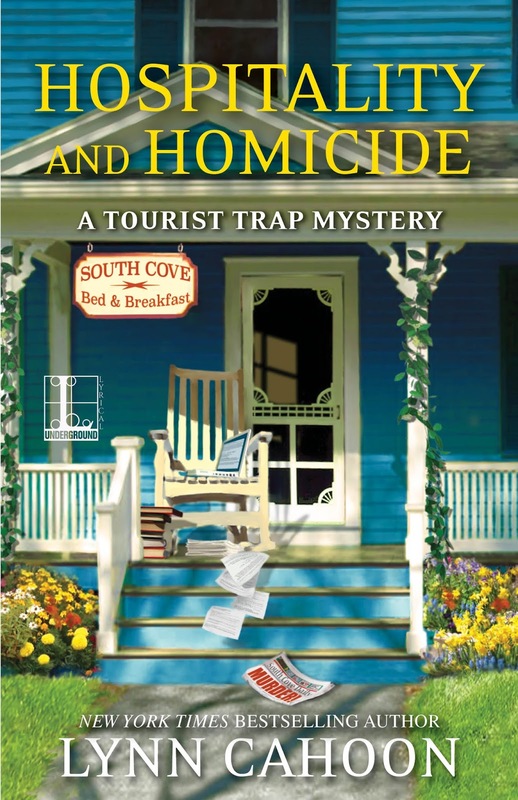 Sit on the dock or on the boat and read a good mystery. I am so looking forward to spending time with my kids and granddaughter. We enjoy long walks, picnics, library time, reading beneath the shady arms of an ancient oak tree, and 🌟 gazing on clear nights. My favorite summer activity is spending time with my grandchildren. My favorite summer activity is going to the beach with a good book. Just me and a "who-dun-it" mystery. Loved both those books. I'd love to read about Greg's view on things! Would make for some interesting reading. Reading a good book outside! Canning!! Love to make jam!! I love working in my flower gardens, walking the shores of Lake Erie, and attending baseball games with my family. All bring my faith to the forefront and complete my faith in the love and good that can be found from our Lord. My favorite summertime activity is trying to avoid the heat. When you live in So Cal, that's hard to do. The heat lasts until the first of November usually. August and September are really hot. The air conditioner and ceiling fans work overtime. My solar panels can't keep up. My favorite summer activities are camping (a relatively new one - we're taking our second annual camping trip this year)and visiting our local swimming pool. My daughter is joining the swim team this year, something I did for 20 some years. So, I'm excited about that as well. I love camping in my travel trailer. So many great memories made. Camping in my travel trailer with my hubby and 2 dogs. So peaceful and quiet since we don't go to places where there are hook ups for the trailer. We are out in the middle of no where, just enjoying the peace and tranquilty.